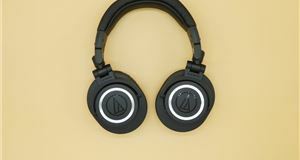 The E8 are the latest wireless active noise cancelling (ANC) headphones from the North American audio specialist, Mixcder. 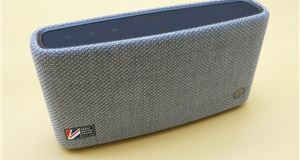 Following on from the E7, the E8 features improved noise cancelling that should make it easier to enjoy your music on a train or plane, without being disturbed by noisy passengers or the low-pitched drone of the engines. Featuring an over-ear design, the Mixcder E8 has large-circumference ear cups that are covered in memory-foam and soft-touch leather. Inside there is an aluminium construction, designed to make it easier for the sound to be rebounded back towards your ears. 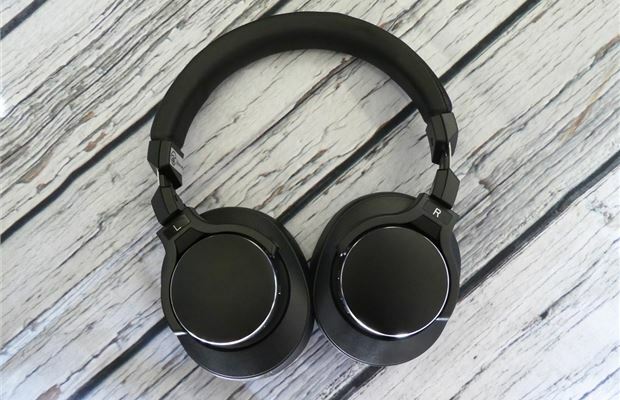 The E8 connects to most smartphones and MP3 players via Bluetooth, and comes equipped with 40mm drivers for a powerful, wideband frequency response from 20Hz-20,000Hz. Affordable. 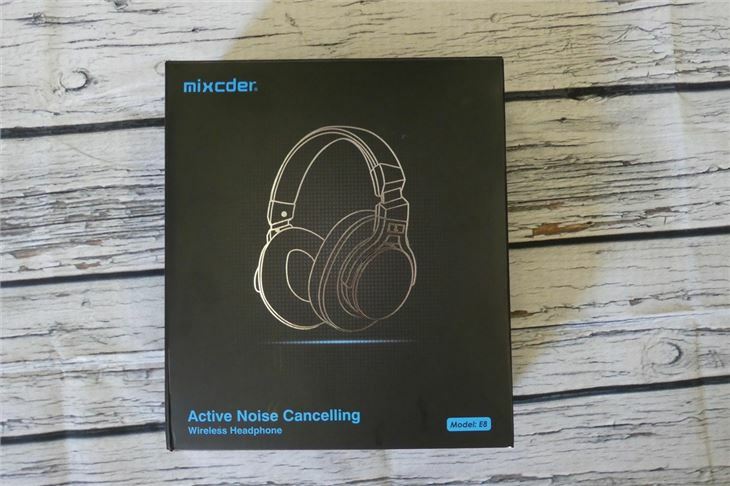 Indeed, at £59.99, the Mixcder E8 undercuts the majority of its over-ear noise cancelling headphone rivals on price. The headphones also feature buttons and a microphone to allow for wireless control of music and hands-free calls. Obviously, being cheaper to buy, there are some compromises in quality. The leather coverings are cheap and the large bulky design gives the E8 a 1990s' appearance. You can't fold the headphones either, which means you need a lot of space to store them in a rucksack or laptop bag. While the E8 look a little old school, there's no cost cutting when it comes to sound quality. 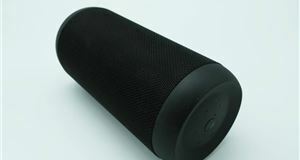 The range is broad and clearly designed for music lovers who enjoy bass-rich sounds. Even at 50 per cent volume, there's a pleasant, suppressed thud. The sound quality stays smooth as you crack up the volume too, with no notable distortion. 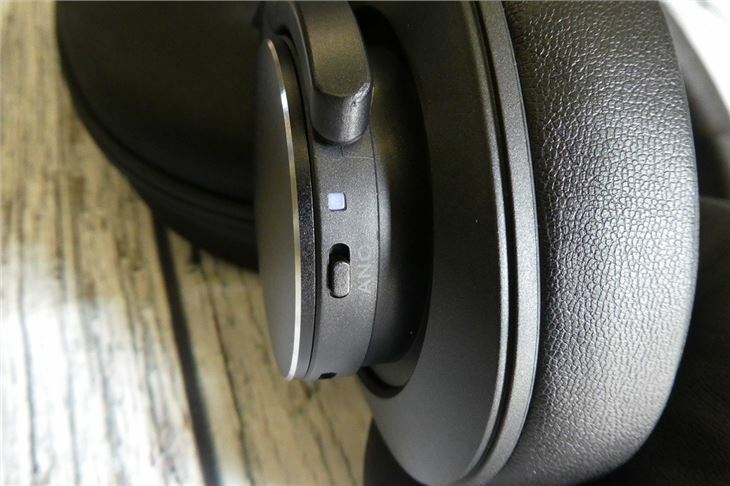 The only problems arise with the active noise cancelling, which is switched on using a slider on the left ear cup. During our tests we found the headphones to do a good job of cancelling out low frequency sounds - like the drone of an aircraft, for example. However, it struggles with occasional high pitched sounds. This means your music is occasionally interrupted by the tapping of a laptop keyboard by the passenger next to you, or the rustling of a packet of sweets from a nearby child. It's not enough to ruin music experience, but it's certainly noticeable. The huge bulky size of the E8 can also make them feel quite heavy after an hour or two. The battery life is around 18 hours and, when the battery is low, the E8 can still be used with ANC for 40 hours by plugging in the 3.5mm audio cable to connect the headphone to a smartphone/desktop. 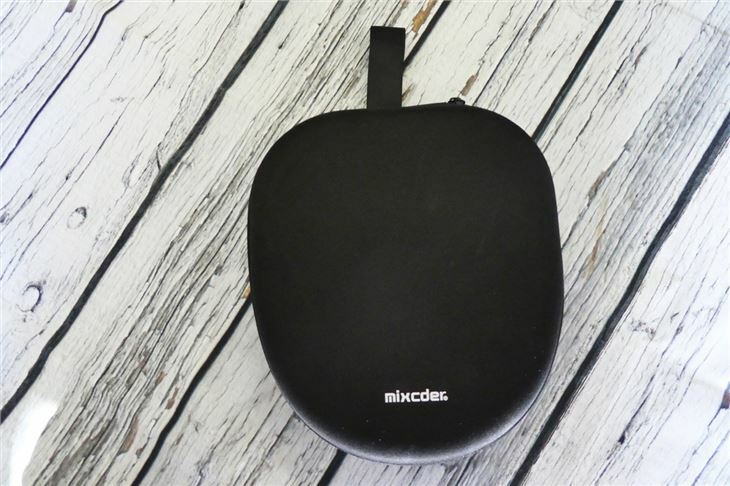 If you're new to the world of wireless noise cancelling headphones, then the Mixcder E8 would be a good place to start. 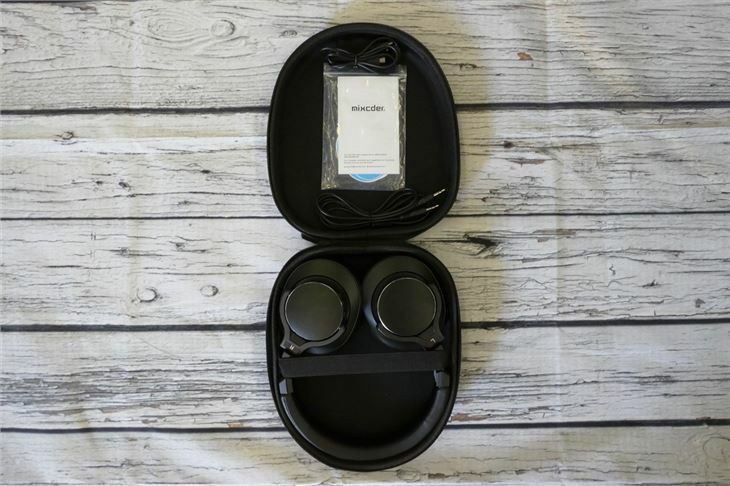 They are excellent value and provide everything you need to enjoy your music while on the move. 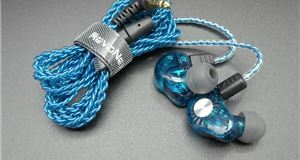 The playback quality is extremely good for the price, especially for an over-ear design. We don't think everyone will like the E8's huge design. This means it's easy to catch them on overhead lockers on aircraft or snag on a jacket. They can be quite difficult to carry around too, with the hard carry case taking up a lot of space in a backpack or laptop bag. They weigh heavily on the neck too. 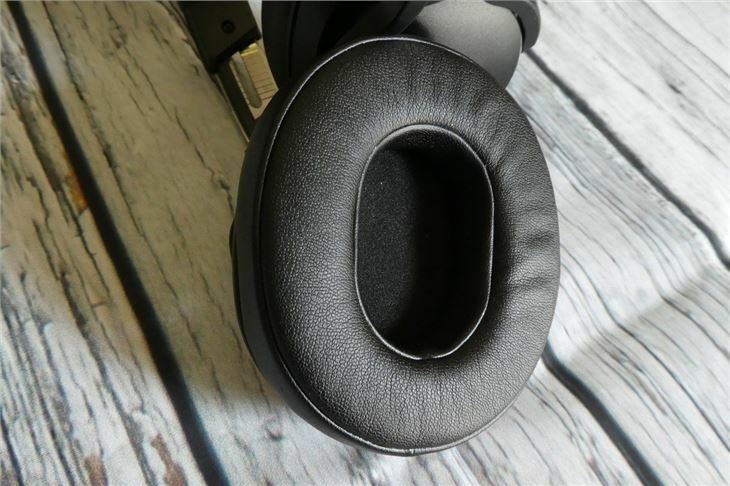 Sound quality is generally good, but serious music lovers will take issue with the shortcomings in the active noise cancelling system. That said, for the most part, the E8 provides rich and bass heavy sounds that make it easy to enjoy your favourite songs. And for under £60, it's difficult to deny that the E8 is anything short of excellent value.